Survivor Kaoh Rong: What could go wrong? So there is a chance I might be the worst Survivor fan out. Okay, so maybe not the worst fan, but maybe the worst fan blogger. Looking back over my highly unsuccessful blog I realised that I never even put my thoughts out on the internet about the ending of last season, Survivor Cambodia (not that anyone was reading anyways). So here I am sitting down to post about the pre merge portion of this season, only to make a quick pitstop a couple of months back. What can I say about Survivor’s third full returnee season? Anti climatic? Is that fair? Yeah, I guess it is. Season 31 started out strong and kind of fell apart when we decided to “invent” voting blocks. Look I’m the biggest Jeremy fan. His blindside in San Juan Del Sur was traumatic to say the least, but we were promised a great returnee season. Instead it felt like a repeat of Blood vs Water where the winner literally walked their way to the million. Seriously many parallels between Jeremy and Tyson could be made, but I really don’t have the time or energy to fall down a rabbit hole, that would make me look like I don’t support or appreciate their game prowess, when it’s quite the opposite. Okay I’m going to move on. Cambodia was cool, but things could of been taken to the next level if the underdogs came through the the final six. Now I’m finally going to move on to this season, I think we’re in for a wild ride. These first six episodes have been solid, but the editors are really setting up a few castaways for the fall. Scot, Kyle Jason, Nick, and Debbie all think they have the game in the palm of their hands. Peter would of been grouped in with these guys if he had made the merge, but just like with Obama’s term as president, all good things should come to an end. So with that in mind I believe their is only five players left that could actually win, but thanks to the equal editing, in my eyes they all have as good of a chance as the next. The five people I can see winning are Aubry, Neal, Julia, Michele, and Cydney. Any of these I’d be extremely happy with, but for now not much is clear. Hell, I could be wrong and the winner of the season could be Scot Pollard. That would show for once and for all that nothing can be certain on Survivor after 15 years. Alone this Valentine’s Day? Don’t worry, I’m listing my top TV couples, so you can spend the day watching their romance on screen instead of having one yourself. Ross and Rachel, Friends (1994-2004) – Ross and Rachel’s relationship has become such a part of pop culture, that other shows look at their characters relationships, and how much they want to “Ross and Rachel it”. In a sense, how far can we drag this out before they get together. Because that’s what David Schwimmer and Jennifer Aniston’s characters were all about. Everyone could see from the start that they were meant to be, and I think everyone could relate to Ross being “friend-zoned”. After ten years of ons and offs, they finally got together for good, because as Phoebe put it, ‘she’s his lobster”. 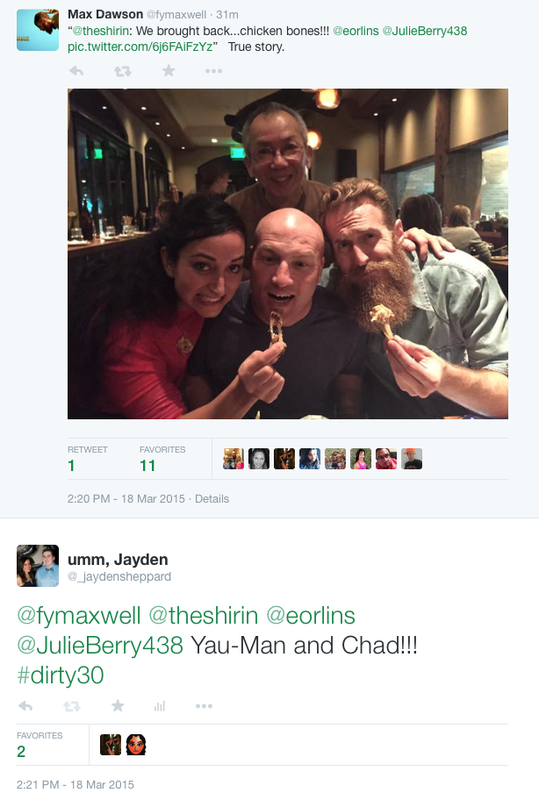 Survivor: Borneo, Australia, Africa, and … Cagayan? While the twenty eighth season of Survivor wraps up today, I’ve just finished re-watching the first three seasons. Survivor Cagayan has been one of the best in recent years, and dare I say, one of the best in the franchises history, but there would of been many who have watched this season of Survivor, that have never seen the shows conception and beginning. I’ve heard over the years people saying the show is totally different now, than what it was fourteen years ago. Maybe in production value, but the core of the show is still there. Only thing is this year with Cagayan, it’s been as clear as ever, how this show is still the same. What makes the first three seasons, Borneo, Australian Outback, and Africa, is the great characters and everyone’s desire to win. Nobody is sitting around for third place (which is another topic in itself). In Borneo every castaway that made the merge was memorable, and was given quality screen time. Same thing for Australia and Africa. I can also say this for Cagayan, while I can’t say that for all seasons from the past few years. In this season we had Tony, the villain playing super hard. Spencer, the young underdog. Kass, the outspoken older woman. Trish and Woo, playing under the radar in Tony’s majority alliance, and the challenge beast, Tasha. This final six was one where every single person had a case to win. Which is not un-similar to the seasons I have mentioned, where their final six’s featured legends of the game like Richard Hatch, Rudy Boesch, Sue Hawk, Colleen Haskell (from Borneo), Tina Wesson, Colby Donaldson, Elisabeth Hasselbeck, Amber Brkich (from Australia), Ethan Zohn, Lex van den Berghe, Tom Buchanan, and Teresa Cooper (from Africa). So if you’ve enjoyed Survivor: Cagayan, but haven’t seen how the whole show started, definitely check them out.